Augustus Sherman: Aliens or Americans? 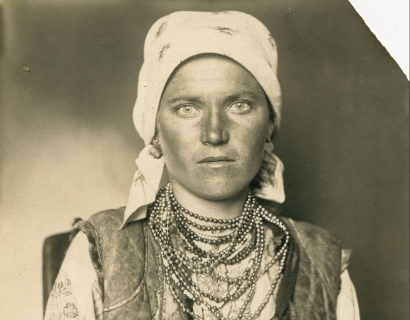 Steven Kasher Gallery is pleased to announce Augustus Sherman: Aliens or Americans?, an exhibition featuring 35 vintage black and white portraits of immigrants on Ellis Island made by Augustus Sherman between 1905 and 1920. This is the first U.S. exhibition and first gallery exhibition of Sherman’s work. This exhibition gives historical context to Donald Trump’s populist disparagement of immigrants as undesirable aliens. Sherman, who was Chief Clerk at Ellis Island Immigration Station, made these sympathetic portraits to promote the services of his organization. However they were also used, without attribution, in various anti-immigrant publications that asserted that America would fall apart under the pressure of these so called “aliens.” For instance, in 1906 Sherman’s images were used in the book Aliens or Americans? 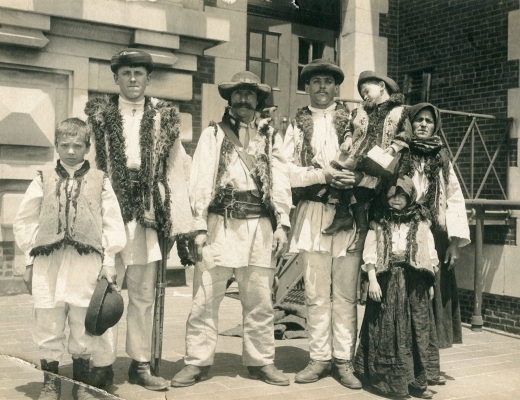 by Baptist minister Howard B. Grose as visual evidence of the supposed menace of the “new immigrants.” More than 100 million living Americans, a third of our population, are descendants from the 12 million people who entered the U.S. through Ellis Island between 1892 and 1954. Whether aliens or Americans, they are us. Augustus Sherman was hired by the Bureau of Immigration as a clerk on Ellis Island in 1892. By his death in 1925, he was Chief Clerk of Ellis Island, in charge of the Immigration Bureau’s extensive correspondence. His high ranking position gave him special access to Ellis Island detainees and afforded him opportunity to take his photographs. He persuaded detainees to pose for his camera, encouraging them to wear their finest clothes or national dress. The Sherman archive at the Ellis Island Immigration Museum holds over 250 of his portraits of immigrants. They are not the “huddled masses yearning to be free" as described by Emma Goldman. They are not portrayals of anonymous travelers weary from journey as photographed by Lewis Hine. Sherman is producing a catalog of diversity. 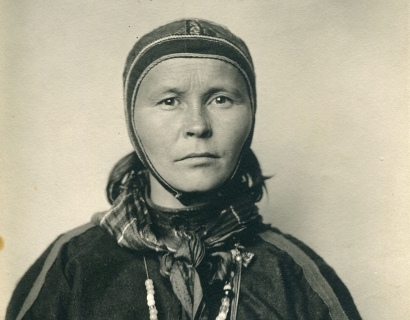 Each newcomer is described in full, face forward, in their most exceptional outfits, captioned by place of origin, and often name and occupation. Sherman takes pains to individuate each subject with a unique setting, pose and framing. In these ways Sherman was a companion to August Sander whose portrait project People of the Twentieth Century is a touchstone of photography. 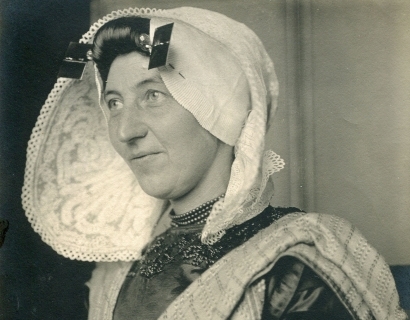 Sherman’s work came to attention in 2005 when Aperture published Augustus F. Sherman: Ellis Island Portraits 1905 – 1920. Recently, Sherman’s portraits were chosen by specialists at Dynamichrome as important subjects for their innovative colorization techniques, and will be published in their forthcoming book The Paper Time Machine. Using historical references from the era they pinpointed the exact colors that would have appeared in the immigrant’s costumes. Featured in an article on Buzzfeed (http://bzfd.it/2cQZAGA) the colorized photographs help us imagine the vivid splendor these culturally significant clothes would have held in their day. Augustus Sherman: Aliens or Americans? will be on view November 3rd – December 23rd, 2016. Steven Kasher Gallery is located at 515 W. 26th St., New York, NY 10001. Gallery hours are Tuesday through Saturday, 10 AM to 6 PM. For more information about the exhibition and all other general inquiries, please contact Cassandra Johnson, 212 966 3978, cassandra@stevenkasher.com. Vicki Goldberg named our Augustus Sherman show one of "Four Not-To-Miss Photography Shows" in the New York Times Art Review. Claire Voon explores the work of Augustus Sherman and announces the publication of "The Paper Time Machine: Coloring the Past", where the images will appear in color!